Vaportronix was founded in 2014 with the goal to provide a product that could store and charge our own vaporizer called the VQ Stick. Using our patented technology we released our first product in 2015, the VQ, a phone case that was designed to store and charge our VQ Stick. The biggest problem we had was that phones change every year and coming out with a case for each phone model proved to be a challenge. With JUUL becoming the dominant vaporizer in the US (70% market cap) we have shifted our attention to creating accessories for the JUUL. To solve our problem of creating a case for every phone model we decided to just make something that was universal, that could be put on any phone or any surface that someone would want to have easy access to their vaporizer. That’s how we came up with the VQ Lite. The VQ Lite is a convenient holder designed for the JUUL. Using the strong, authentic 3M adhesive pre-installed on the VQ Lite, it can be stuck virtually anywhere someone would want to have easy access to their JUUL. From the back of their phone, laptop, or tablet to their car dashboard or desk at work. 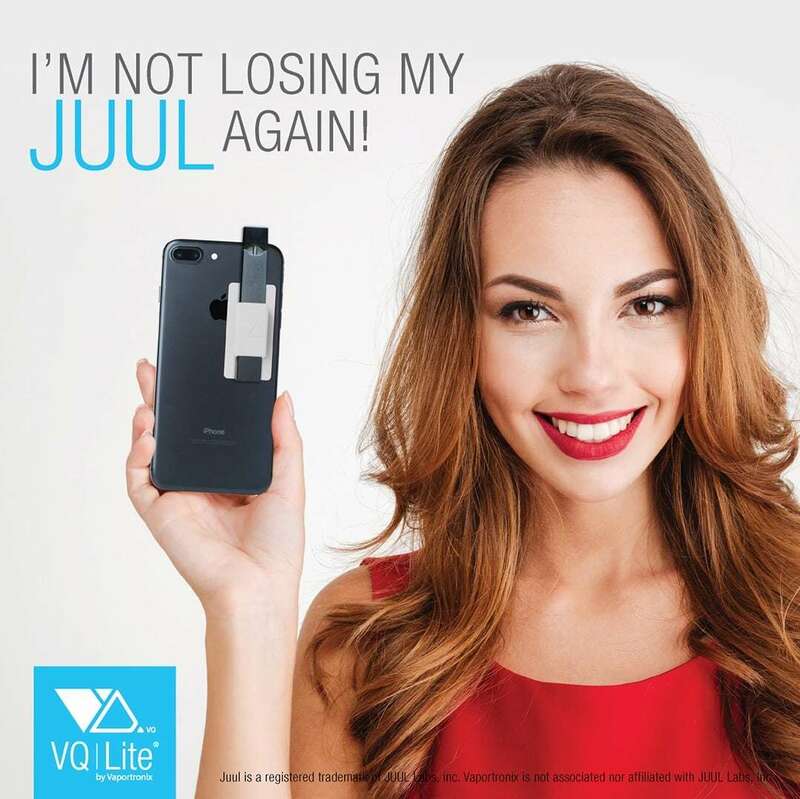 The VQ Lite is a simple solution to prevent JUUL users from losing or leaving behind their JUUL. Its always with them on the device or place they use their JUUL most. Always with you, So you never miss a puff. Never lose your JUUL again!